Divorce Listings Expert - Going through a divorce? Sold my family members home in a day!!! Excellent job! All negotiations went smooth. I also used Michael ten years ago to sell my mother's home and was extremely pleased. Very professional and extremely knowledgeable! It went extremely well. I give him a grade of A++. He is intelligent, professional, meticulous, energetic, friendly, highly capable, and honest. He also offered a commission rate that was very competitive. If we should need a realtor in the future we will definitely contact Mike. Michael advertises himself as a discount broker, but he doesn't give discount service. We chose him from three realtors we interviewed as we immediately connected with him. He initially spent several hours telling us what to expect as sellers and offering advice for staging our home. His years of experience in real estate are extremely helpful. We had so many phone calls listening to his words of wisdom that he almost became one of the family! He always answered his phone--I never had to leave a message! That in itself is highly unusual from what I've heard from other sellers in working with a realtor. In addition he is a gentleman--always dressed professionally and very courteous and patient. 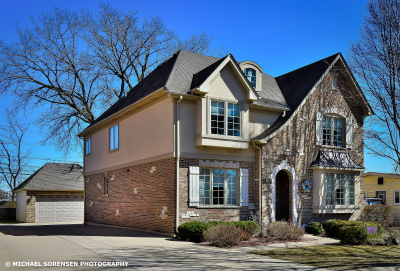 We have recommended him highly as someone who goes beyond what is expected, and he has the know how to represent buyers and sellers in the Chicagoland area. Michael Sorensen is the best of the best! Michael Sorensen has recently sold our house in Chicago. We highly recommend him. Michael is very professional, experienced and knowledgeable. We were well informed all the time through the whole process. Throughout the whole process, Michael and his team were wonderful and very informative. He explained every part of the process in great detail and made me feel very comfortable. I've already recommended his services to a family member. Michael Sorensen was extremely knowledgeable and was always available to answer our questions. We were very happy with the service he provided as expectations were clear from the start and the process ended with a successful sale. I'm active duty in the military and needed to sell my house before I transferred to my next duty station. We didn't know who to contact and did some searching on the Internet. We found Michael and decided to give him a call. It was the best decision we could have made. Michael was very professional and helped us throughout the process. He answered all of our questions and showed he had a lot of experience. Through his guidance we were able to sell our house on time. We highly recommend him. Thank you Michael! Highly likely to recommend. Michael did a good job selling our home. He seemed to know the market, and appraised the house for what he thought it was worth. We did end up selling our home very close to asking price. My expectation was that it will take at least six months to successfully close. To my delight, I actually closed in less than four months on the market! Several similar homes in same subdivision remained listed for well over a year. Michael gave me some good advice that ended up saving me a few bucks as well. I would highly recommend Michael Sorensen to homeowners trying to sell. Contact: 773.987.8224 | Michael Sorensen, Real Estate Broker, ABR, SFR, CNE, CDPE. Chicagoland Brokers Inc. 5151 N Harlem Ave 201, Chicago, IL 60656. Find Best Chicago Discount Real Estate Agents Realtors Chicago Top Discount Real Estate Agents, Chicago Homebuyer Agent Commission Rebate Realty, Chicago Real Estate, Chicago Homes For Sale, Chicago Discount MLS Listings, Chicago Buyer's Agent, Real Estate Chicago Home Buyer Commission Rebate Refund, Top Chicago Discount Realtor, Find Chicago Best Discount Real Estate Agents Brokers Realtors, Chicago Real Estate Buyer Commission Rebate, Chicago Real Estate Seller Commission Discount MLS Listings, Chicago Home Buyer Agent, Chicago Real Estate Buyer Commission Rebate, Chicago Homebuyer's Realtor, Chicago Home Buyer Commission Refund, Chicago Homes For Sale. Service areas: Addison, Arlington Heights, Algonquin, Alsip, Antioch, Aurora, Bannockburn, Barrington, Bartlett, Belvidere, Bensenville, Berwyn, Bloomingdale, Bolingbrook, Buffalo Grove, Bridgeview, Burbank, Burr Ridge, Carol Stream, Carpentersville, Cary, Cicero, Crystal Lake, Deerfield, Deer Park, Des Plaines, Downers Grove, Dundee, Edgebrook, Edison Park, Elgin, Elk Grove Village, Elmhurst, Elmwood Park, Evanston, Fox Lake, Forest Glen, Franklin Park, Geneva, Genoa, Glencoe, Glendale Heights, Glenview, Grayslake, Great Lakes, Gurnee, Hainesville, Hampshire, Hanover Park, Harwood Heights, Hawthorn Woods, Highland Park, Hinsdale, Hoffman Estates, Huntley, Ingleside, Inverness, Island Lake, Itasca, Ivanhoe, Irving Park, Jefferson Park, Joliet, Kenilworth, Kildeer, La Grange, Lake Bluff, Lake in the Hills, Lake Forest, Lake Villa, Lakeview, Lake View, Lake Zurich, Lemont, Libertyville, Lisle, Lincoln Park, Lincolnshire, Lindenhurst, Lombard, Long Grove, Marengo, McHenry, Melrose Park, Morton Grove, Mount Prospect, Mundelein, Niles, Naperville, Norridge, Northbrook, Northfield, North Center, North Chicago, Northlake, Norwood Park, North Shore, O'Hare, Oak Brook, Oak Lawn, Oak Park, Old Town, Oriole Park, Orland Park, Palatine, Park Ridge, Plainfield, Prairie View, Portage Park, Prospect Heights, Richmond, River Grove, Riverwoods, Rockford, Rogers Park, Rolling Meadows, Roselle, Round Lake, Schaumburg, Schiller Park, Skokie, Sleepy Hollow, South Barrington, South Elgin, Spring Grove, Spring Grove, St. Charles, Stone Park, Streamwood, Sugar Grove, Summit, Sycamore, Sugar Grove, Tinley Park, Union Ridge, Vernon Hills, Villa Park, Winnetka, Wadsworth, Wauconda, Waukegan, Wayne, Westchester, Wheaton, Wheeling, Willowbrook, Wilmette, Winthrop Harbor, Wonder Lake, Wood Dale, Woodridge, Woodstock, Zion. Cook County, Lake County, McHenry County, DuPage County, Will County, Kane County, Kendall County, Illinois Real Estate. House, Condo, Townhome, Mansion, Bungalow, Traditional, Colonial, Victorian, Queen Anne, Modern, French Provincial, Contemporary, English Tudor, Ranch, Log Homes, Georgian, Mediterranean, Cape Cod, Duplex, High Rise Buildings, 2 Flat, Single Family, Multi Family, Investment Property, Residential Real Estate, Commercial Real Estate, Waterfront Properties, Golf Course Properties, Farmhouse, Equestrian Properties for Horses, Luxury Homes, Estate Sale, Short Sale, Foreclosure, Bank Owned Homes, REO. Polish Speaking Real Estate Agents in Chicago, Polish Realtors in Chicago Illinois, Kupno Sprzedaz Nieruchomosci, Domy w Chicago, Kondominia, Budynki apartamentowe w Chicago, polski agent, polskie biuro agencja posrednictwo obrotu nieruchomosci w Chicago, mowimy po polsku.